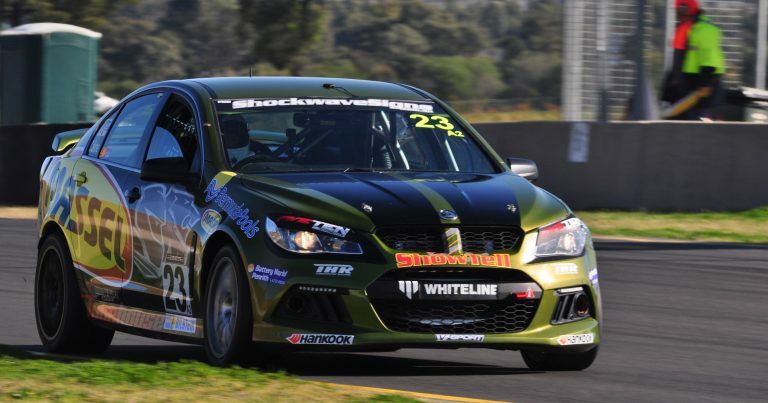 Showtell Racing’s Mark Caine wrapped up the 2017 MoComm Cup at the last round of the 2017 Shockwave Signs Production Touring Car Championship in Goulburn, and now heads to Sydney, looking to secure another title in the final round of the season. 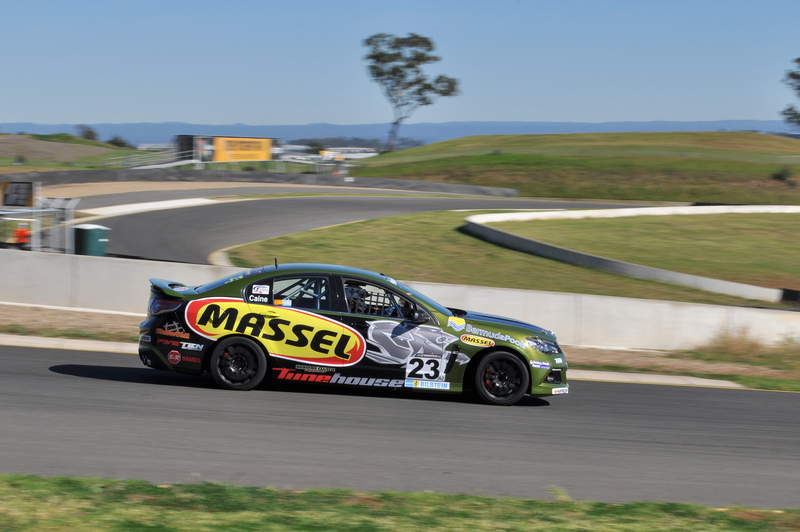 This weekend, Sydney Motorsport Park plays host to three races that will decide the 2017 State and Club Championships, with Caine in contention to claim the Club Championship. 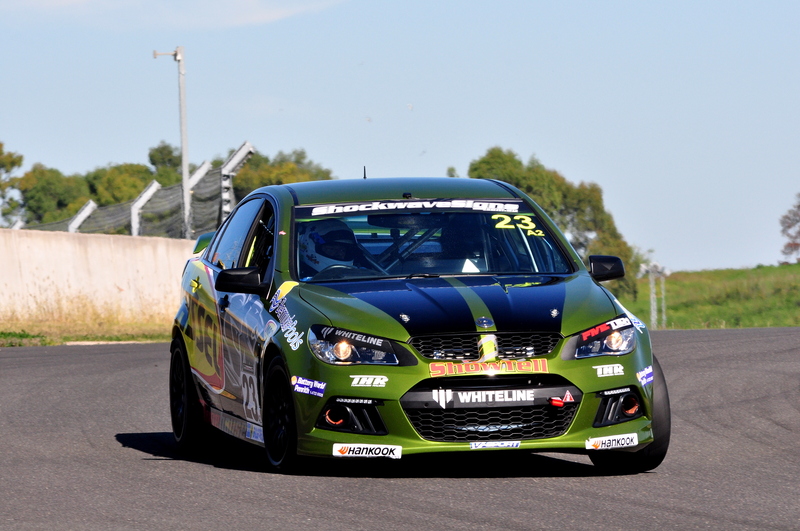 The Sydney-based driver trails Adam Gosling by only 17 points in the battle for outright club honours, while also holding down fifth spot in the outright State Championship fight. 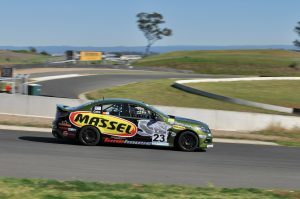 A retirement in Race 2 of Round 2 at Sydney Motorsport has hurt Caine’s chances in the State Championship, but racing at Lakeside has served him well in his quest for the Club Championship, with many of his rivals not making the trip north! 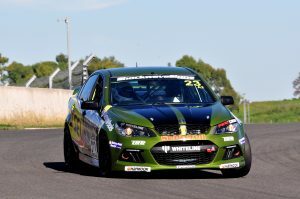 Should he win the Club Championship on Sunday, Caine will claim his second piece of silverware of the season, having already claimed the Endurance Championship last time out. There are two obvious obstacles he’ll have to overcome if he is to claim victory. The first is Adam Gosling, who has been ultra consistent in Class B2 all season. The second is the stiff competition within his own class – Class A2 – where the likes of Matthew Holt and Rodney Thorpe are fighting for top honours in the State Championship, and may just rain on Caine’s parade in the process, as might Trevor Symonds, who’s had tremendous pace, albeit with some misfortune, across the course of the season. What will work to Caine’s advantage, is the points system. 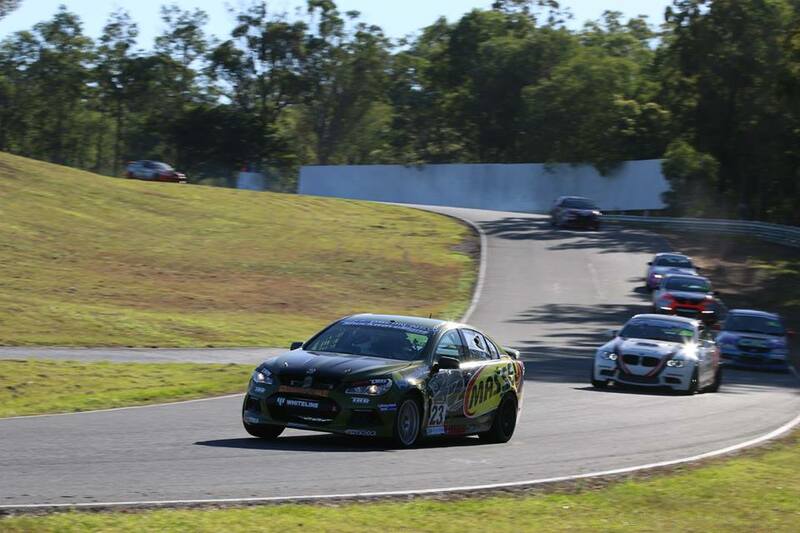 In the NSWPTC Championship, drivers are awarded points based on where they finish in their class, as opposed to where they finish outright, and in that, the amount of points on offer depends on how many cars are racing in your class. As a result, Adam Gosling is unlikely to pocket as many points for a race win, as Caine would if he is successful in A2, which could help Caine overcome his deficit to Gosling, but if both men take the chequered flag in all three races, Caine is still the underdog in this battle. 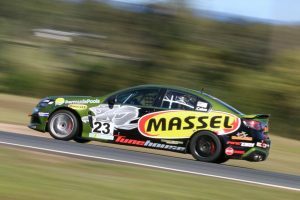 Another bumper field, over thirty cars, will line up for the final three races of the 2017 championship. Qualifying will take place on Saturday morning, ahead of Race 1 that afternoon, before the final two races of the season take place on Sunday. Showtell Racing is proudly supported by Massel, Bermuda Pools, Fiveten Automotive, Whiteline, Tunehouse, Battery World, B&R Brakes and LA Racing Lubricants.